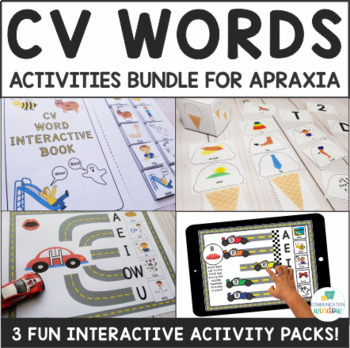 This CV Words Activity Bundle for Apraxia and Articulation contains 3 fun and interactive activity packs at over 20% off the price of buying the activities separately! 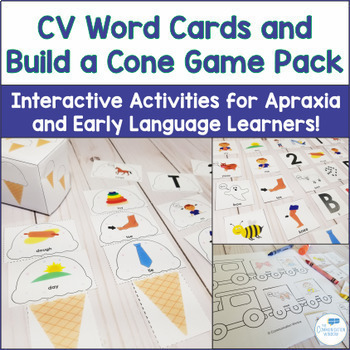 The activities are meant to provide engaging activities for children with apraxia, articulation difficulties, or who are early language learners. 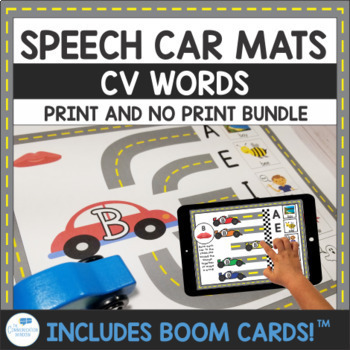 This document was created using Smarty Symbols™ © 2010-2014. Smarty Symbols© is a registered trademark and copyright of Smarty Ears, 2013. 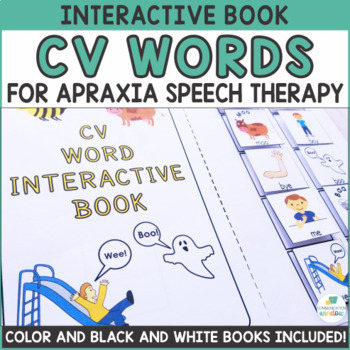 All rights reserved to Smarty Ears. Used with permission. ©2014 Smarty Ears. Visit www.smartysymbols.com for more information.